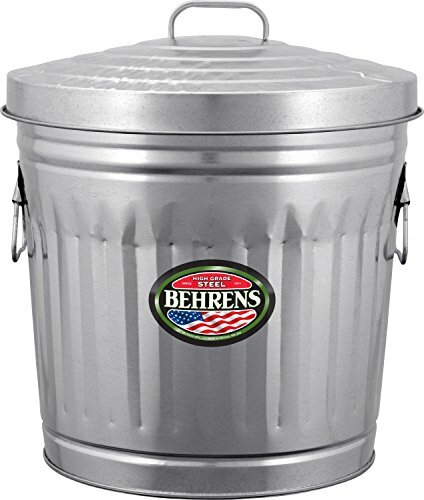 Behrens 10 gallon trash can is made of durable, pre-galvanized steel. Ideal dry storage for trash, yard waste, bird seed and pet food. It is rodent proof and won't absorb odors, fully recyclable and made with no oil. Built with a wire-reinforced rim, offset bottom keeps the can off the ground and has large side handles for easy transport. View More In Kitchen Trash Cans. If you have any questions about this product by Behrens Manufacturing, contact us by completing and submitting the form below. If you are looking for a specif part number, please include it with your message.